People often referred to Will Rogers as a mix between author Mark Twain, who expressed contempt for the universe, mixed with H.L. Mencken, who put down an acerbic brand of cynicism—sarcastic wit—and the long-winded baseball pitcher Dizzy Dean. Only Will was more congenial than all of them put together. When William Penn Adair Rogers was born in 1879 in the Indian Territory of Oologah in the Cooweescoowee District of the Cherokee Nation (which later became Oklahoma), there wasn’t anything such as a birth certificate. Once when traveling abroad and having nothing to show customs of his origin, Will remarked that his ancestors had not arrived on the Mayflower in 1620, but that they had met the boat. Will was on a horse’s back almost from the time he put one foot in front of the other. His father Clem got him his first pony, Comanche, at age five and the boy and horse became inseparable. Will always said he was born bow-legged so he would fit on a horse, despite the fact his mother worried about the bucking spirit under his saddle every day. Since roping was an integral part of rancher’s lives, his Uncle Dan taught Will all sorts of interesting tricks with ropes. Will called it “cutting curlicues." Later, there wasn’t a thing he couldn’t lasso, from a jackrabbit to a calf. His father took him to the Chicago World’s Fair in 1893 and his eyes and spirit were captured by not only Buffalo Bill and his Wild West show, but also by a red-sashed matador, Vincente Oropeza, who labeled himself the “Greatest Roper in the World." This king of the rope inspired Will to practice a spectacular number of tricks including writing his name, one letter at a time, in the air with his lasso. Will developed a hunger to travel and left the family’s ranch to go to Argentina via New Orleans, New York City and London. Argentina was a letdown, but Will found his true calling there. He discovered his real talent when he signed up with Texas Jack’s Wild West show in 1902, billed as a trick roper under the stage name, “The Cherokee Kid—the Man Who Can Lasso the Tail off a Butterfly." A consummate performer, Rogers realized his love for telling witty jokes and issuing impromptu remarks. His gift of stage craft and love for traveling took him to South Africa by way of Australia and New Zealand. He would eventually travel the world. Rogers performed in vaudeville—a bawdy type of stage show—and also got into all media of that period: radio, movies, books and newspaper print. He had a way of bringing the affairs of the world into the American living room and people huddled around the radio to hear him speak. He was accessible, unchanged by fame and traveled extensively as an advocate and devotee of flight. It’s ironic that he would die in a private plane crash with Wiley Post, the first man to pilot solo around the world, crashing in a remote outpost of Alaska. 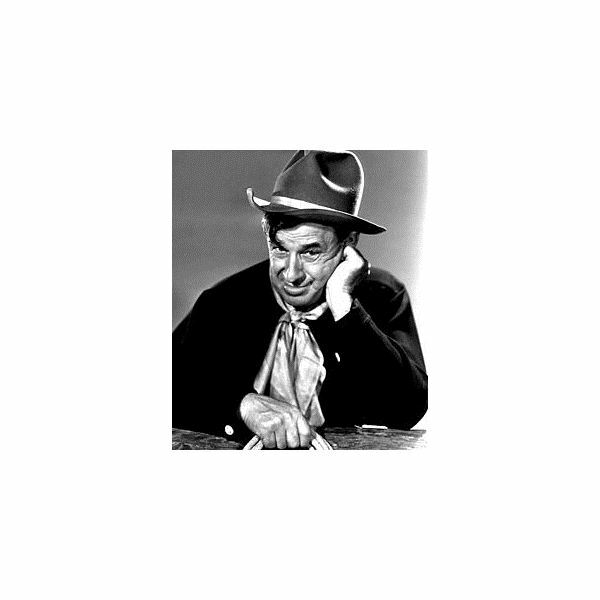 Will Rogers had a hold on America with his shy grin, affable manner and comic ease. Since the Cherokees were unfortunately branded a “warlike" people, they had to counter with their own defenses, which usually meant a remarkable ability to poke fun at each other despite the constant threat to their existence. Will often said that he had enough white in him to make his honesty questionable among all those Cherokees. and friend of presidents, politicians and other famous celebrities of his day. Roger’s roping skills finally netted him a career in the Ziegfeld Follies—a production company that created stage shows and led the way for Broadway musicals— that opened doors into movie contracts and films for the cowboy extraordinaire. As exposure leads to more vehicles in which to express talent, Will Rogers also wrote a syndicated newspaper column in the 1920s—the dawn of a new age—and his radio show only increased his popularity. His earthy, down-home style allowed him to view and comment on the American tragedy and comedy during decades of prohibition, government programs, war and the 1930s Depression, with an innocent but blatant truth, in a way that offended no one. Rogers married pert but slightly older Betty Blake after eight years of love letters from various parts of the world. In their years together, were blessed with four children. Will (Vann) Rogers, Jr. learned a little roping from his dad but became a World War II hero, played his father in films and went on to become a member of Congress. Daughter Mary Amelia was a Broadway actress and James Blake became a newspaperman and rancher. Fred Stone died at age two from diphtheria. “We are the first nation in the history of the world to go to the poorhouse in an automobile. “Everybody is rushing to go somewhere where they have no business, so they can hurry back to the place where they never should have left." “Spinnin a rope’s a lotta fun, providin’ your neck ain’t in it." “I’m the only man who came out of movies with the same wife he started with." “Don’t worry if a man kicks you from behind. It only proves you’re ahead of him." “Once a man holds public office he is no good for honest work." “Rome had Senators. Now I know why it declined." “It looks like the only way you can get publicity on your death is to be killed in a plane. It’s no novelty to be killed in an auto anymore." Ketchum, Richard M. Will Rogers: The man and his times. New York: McGraw-Hill Inc., 1973. Book. Robinson, Ray. American Original: A Life of Will Rogers. New York: Oxford University Press, 1996. Book. Sterling, Bryan B. The Will Rogers Scrapbook. New York: Grosset & Dunlap, 1976. Book.